Firstly, we’ll see how to backup WeChat contacts on iTunes. Step 2. 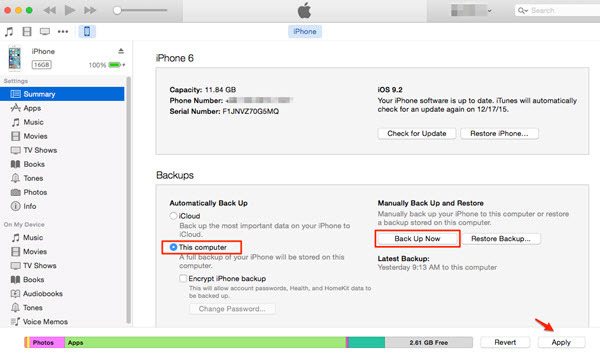 Then go to Files–Summary, and you can see option “Backup Now” on the right page, click it and confirm with “backup”. Next, we’ll see how to backup WeChat contacts on iCloud. Before doing it, please make sure the storage of your iCloud is enough. Step 1. Open your iPhone, connect your iPhone with Wifi. Step 2. 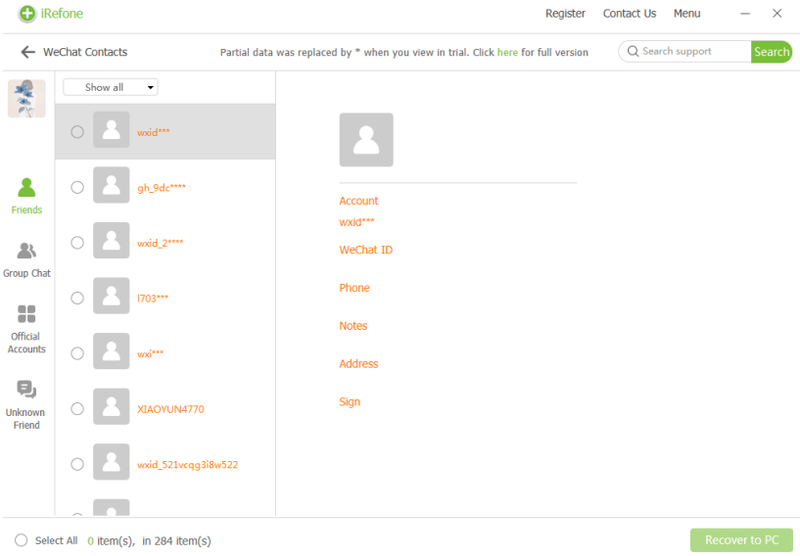 Then go to Setting–iCloud, log in iCloud with your Apple ID and password. Step 3. Now turn on iCloud driver and WeChat button, then scroll down to find option “Backup”, click it and confirm with “Backup Now”. When you don’t want to backup your WeChat contacts on iTunes and iCloud, or you have some problems with doing backup on iTunes and iCloud, or you need to backup your WeChat contacts or other iPhone data selectively, you can come to iRefone for help. 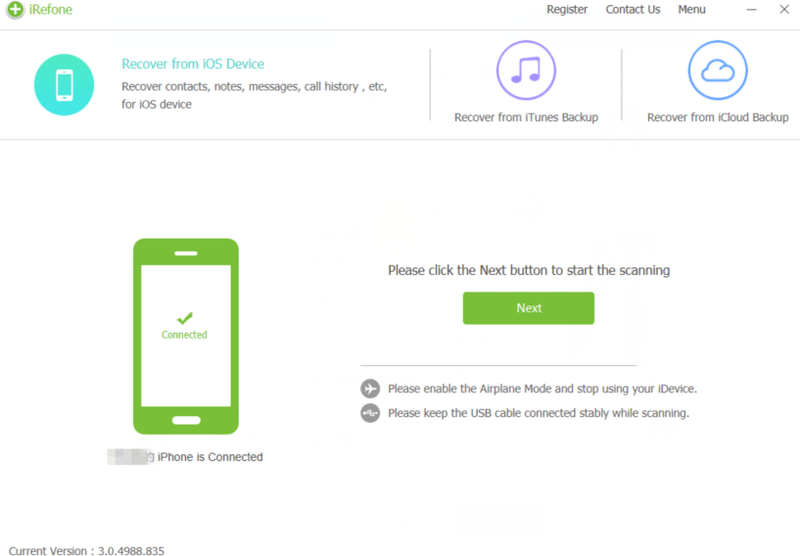 iRefone is a professional iOS data recovery software, it has two version, that is Windows version and Mac version. It can not only help us backup more than 16 kinds of files, but also can help us recover them selectively. Step 1. Run iRefone, connect your iPhone with PC. Choose “Recover from iOS Device”, and tap on “Next”. Step 2. Then we’ll enter the new interface with many data icon and media icon that iRefone can recover, find and click “WeChat Contact” icon, now iRefone will scan it. Step 3. After scanning, you can preview and choose WeChat contacts you need to backup, tap on “Recover to PC”. 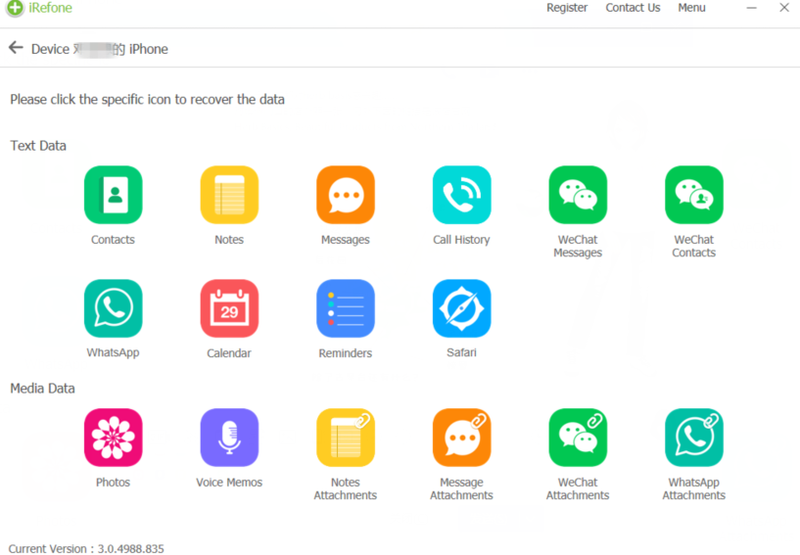 Author brorsoftPosted on 2018-08-31 Categories 未分类Tags backup WeChat contacts before updating iPhone with iOS 12, save WeChat contacts before updating iPhone with iOS 12, transfer WeChat contacts before updating iPhone.